Charice Pempengco finally broke her silence about her sexual preference. In an exclusive interview with Boy Abunda on "The Buzz" that aired earlier this afternoon, Charice admitted that she is lesbian. "Opo, tomboy po ako" (Yes, I'm a lesbian), she said. Charice also broke down as she apologized to her family and fans who are disappointed by her coming out, while thanking those who continue to support her. 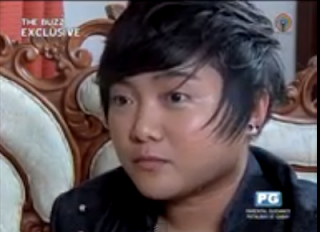 Charice told Boy Abunda that she feels free about coming out.